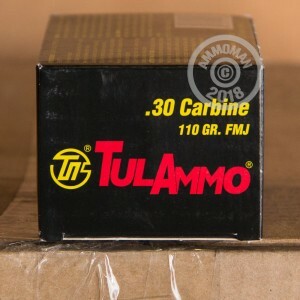 When you want to put a lot of lead downrange, Tula ammo is a great choice; it's inexpensive and produces good accuracy. 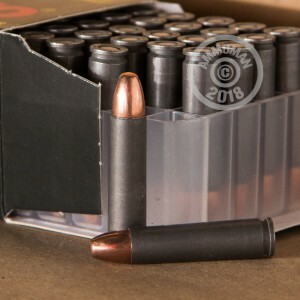 These 30 Carbine rounds fire a 110 grain bimetal jacketed bullet at a muzzle velocity of 1,990 feet per second and work great in both carbines and revolvers. Tula ammunition is made in Russia using non-corrosive Berdan primers and non-reloadable steel cases coated with clear polymer for better cycling. Due to its steel components, this ammo may not be suitable for all indoor ranges. 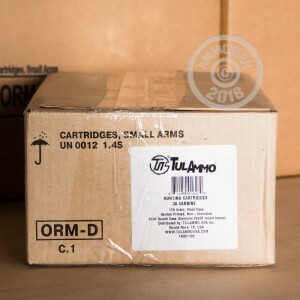 Grab a few of these 50 round boxes or any items totaling over $99 to get free shipping from AmmoMan.com! a cpl misfires but may be the gun.